The UFC has added some local talent to the upcoming UFC: Nottingham show including former BAMMA champion Tom ‘Kong’ Watson. UFC officials announced on Thursday that Watson has signed a multi-fight deal with the promotion after being one of the top prospects in the world not fighting in the Octagon. Watson will face former Ultimate Fighter competitor Brad Tavares in his UFC debut coming up on Sept 29 as part of the UFC’s return to England. 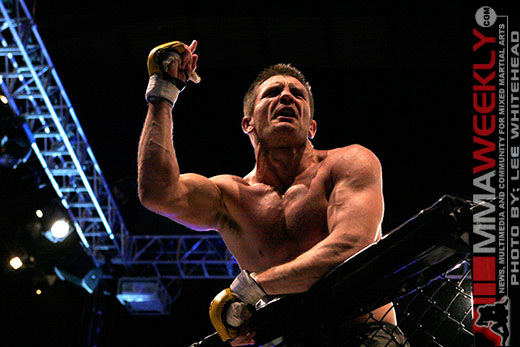 A strong striker with big knockout power, Watson has picked up several big wins in his career including Murilo ‘Ninja’ Rua and current UFC welterweight John Maguire. Speaking of Maguire he now has a fight at UFC: Nottingham as well as he faces fellow Brit John Hathaway in a battle of home country favorites. Maguire has gone 2-0 thus far in his UFC career with two impressive performances and has a seven-fight win streak overall. Meanwhile, John Hathaway will make his eighth appearance in the UFC, this time in his home country of England. The welterweight prospect is riding a two-fight win streak and has some impressive wins on his resume including victories over Diego Sanchez and Rick Story. Hathaway faces Maguire as the two welterweight contenders try to take one step closer towards entering the top ten discussion.